Prices are for U.S. Standard mail. 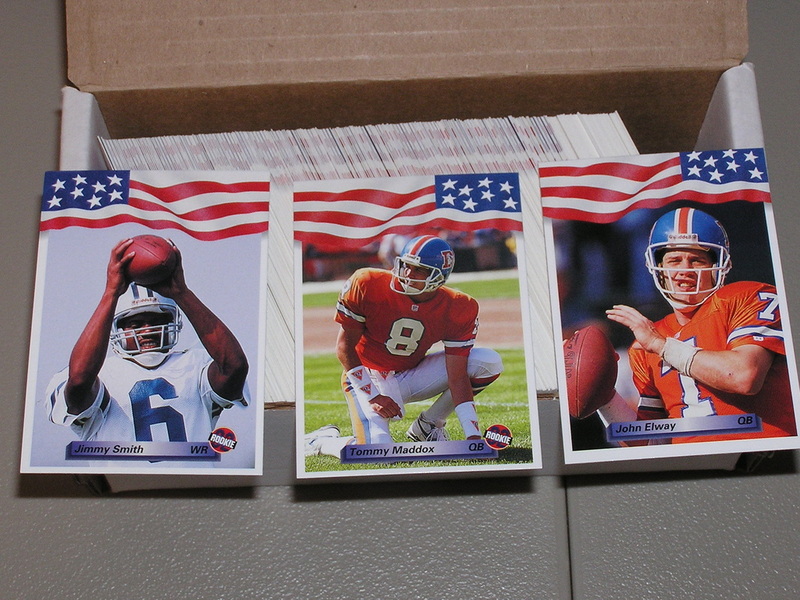 If outside the U.S. please email me from the home page. 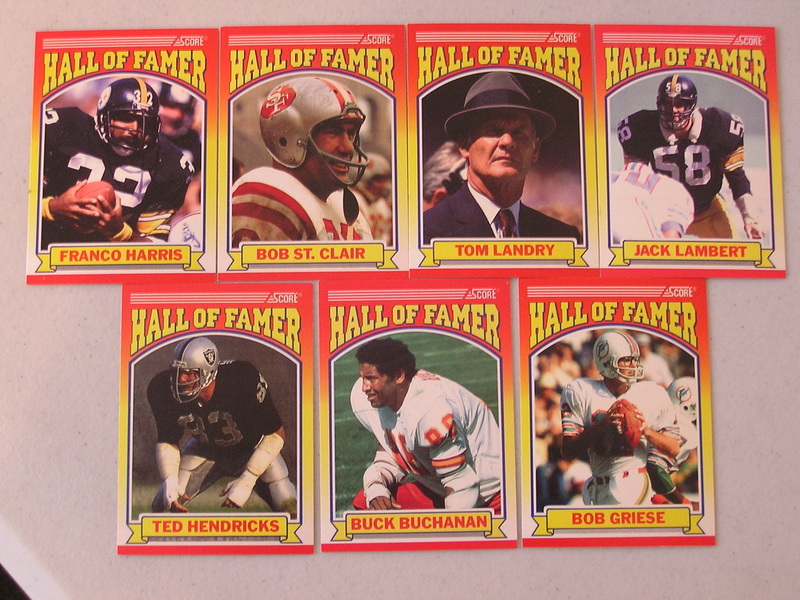 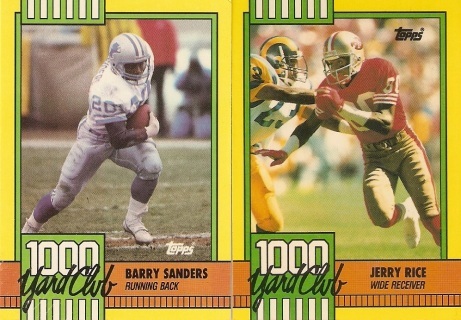 1989 Topps 1000 Yard Club, 24 card set, Great shape. 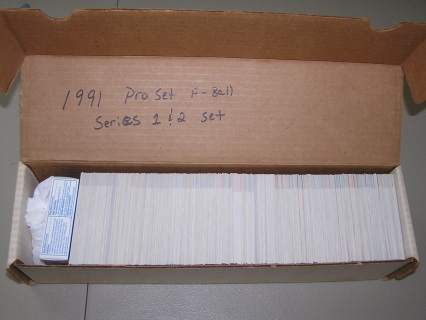 This is not a MASTER SET. 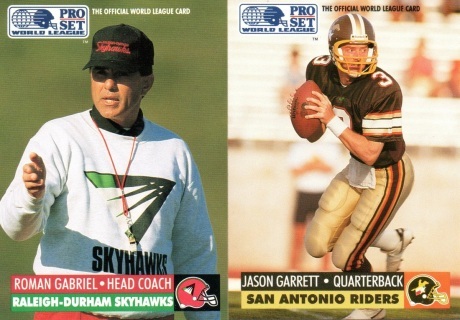 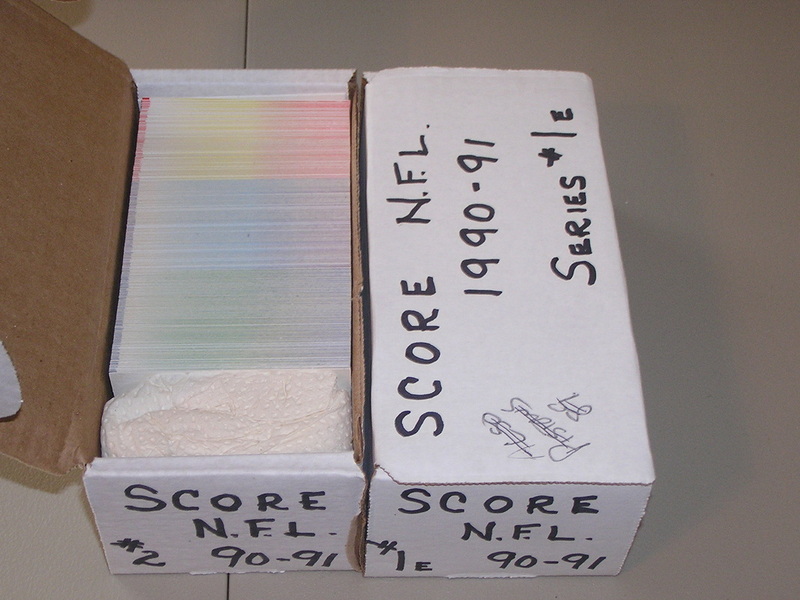 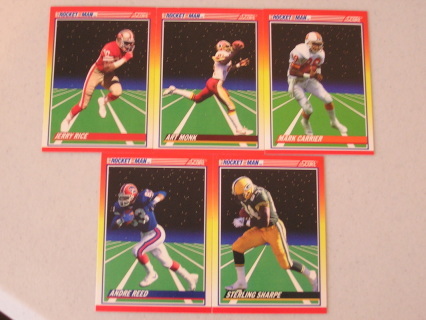 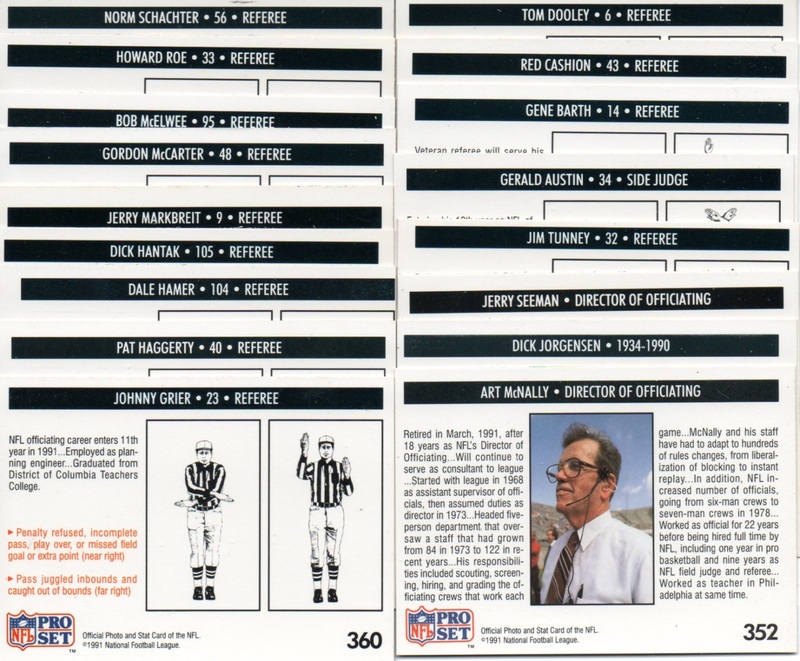 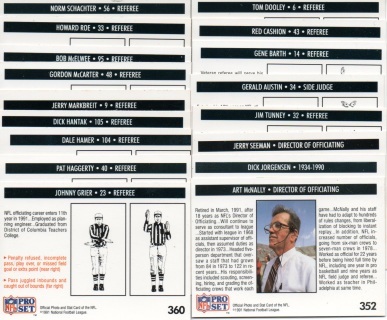 1990 Score Series 1 & 2 660 Card Football Set. 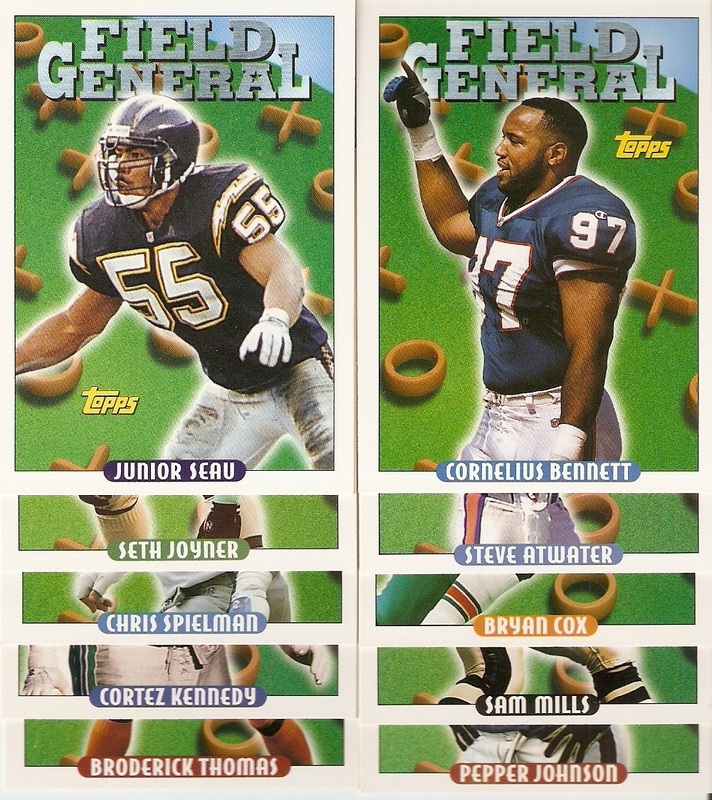 Great Shape! 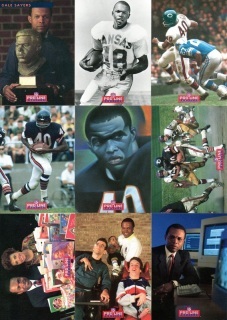 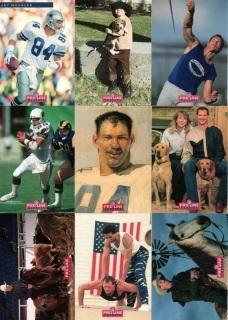 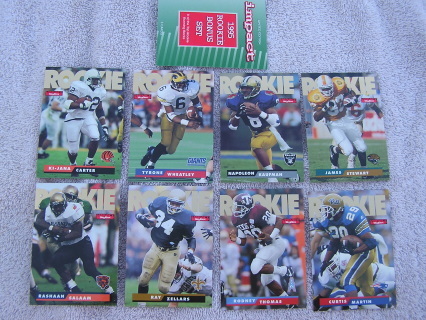 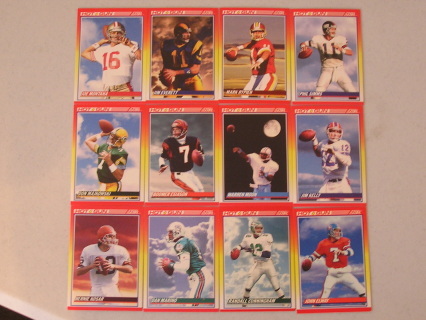 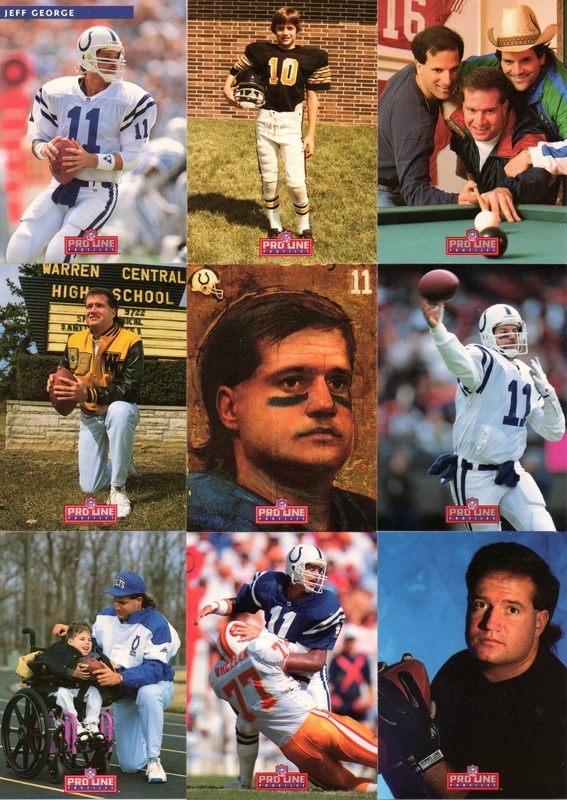 1991 Pro Line Portraits 300 card Football Set in Great Shape. 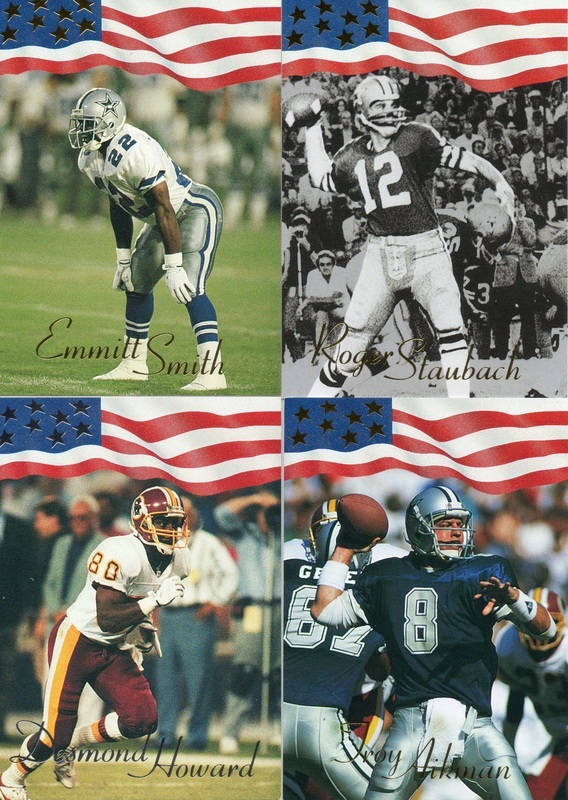 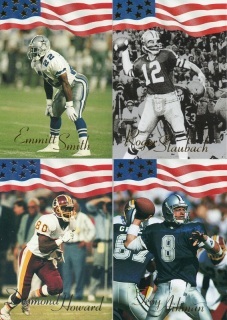 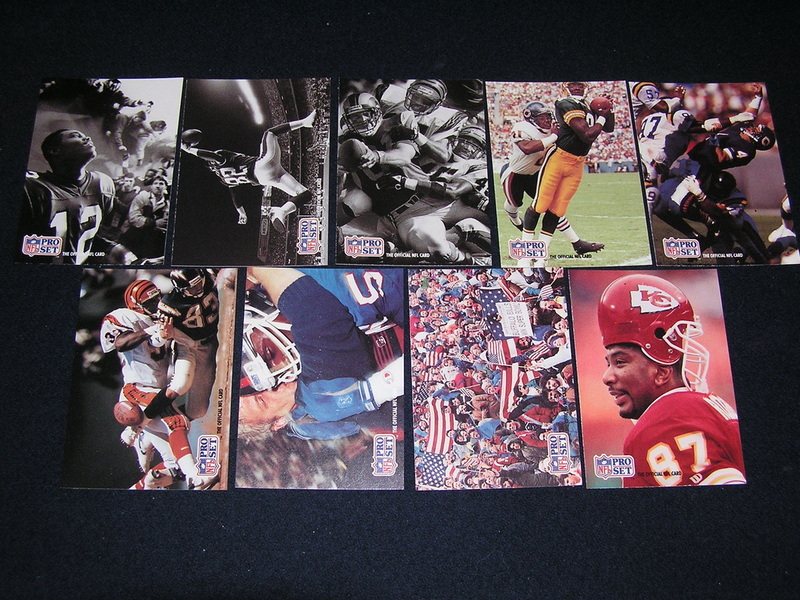 1991 9 Card Pro Set Hall of Fame Photo Contest Sub Set, Star Loaded!! 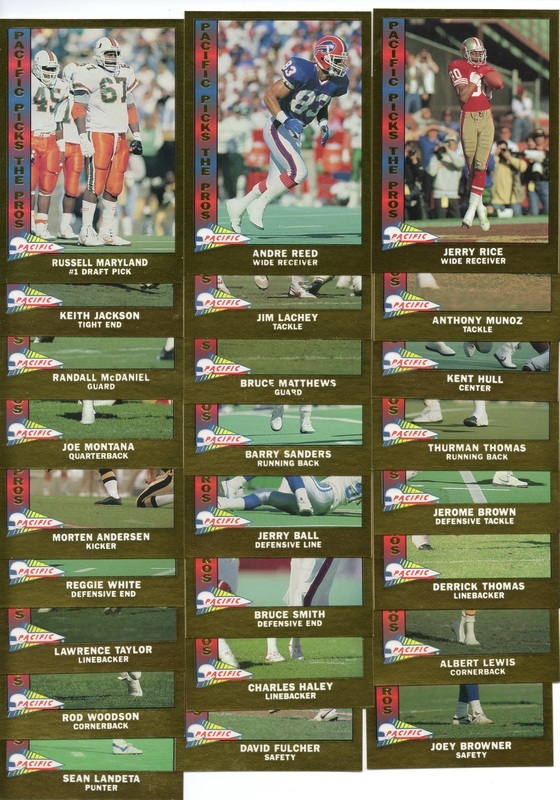 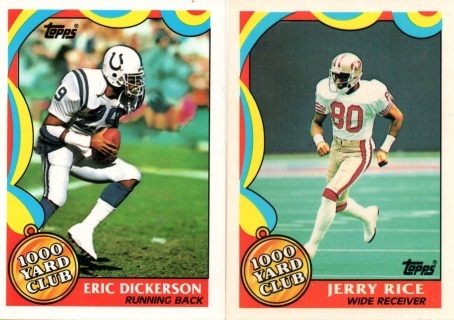 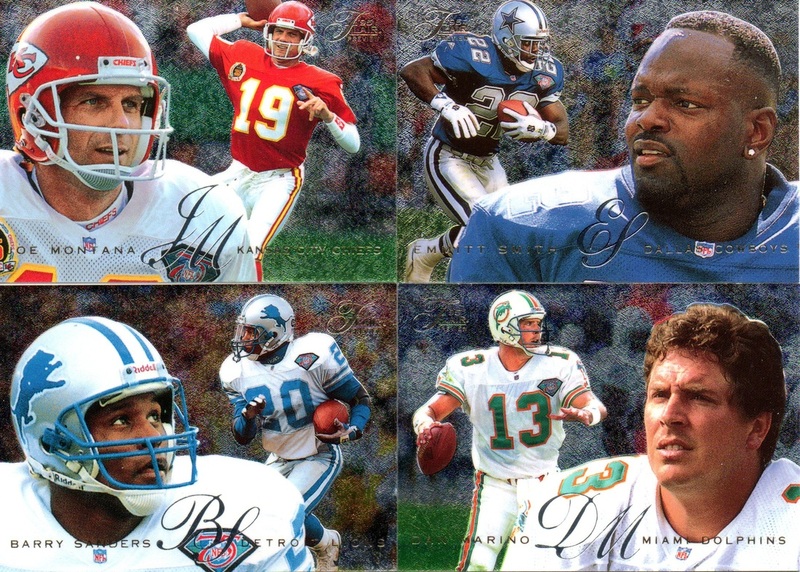 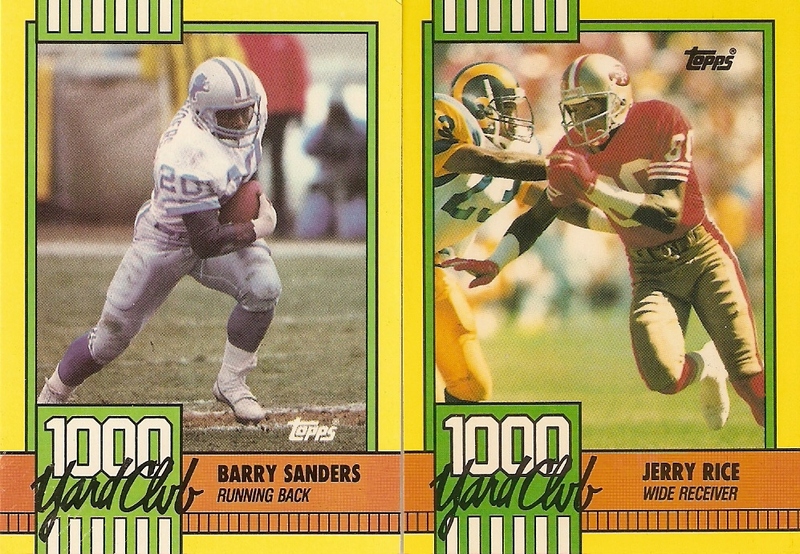 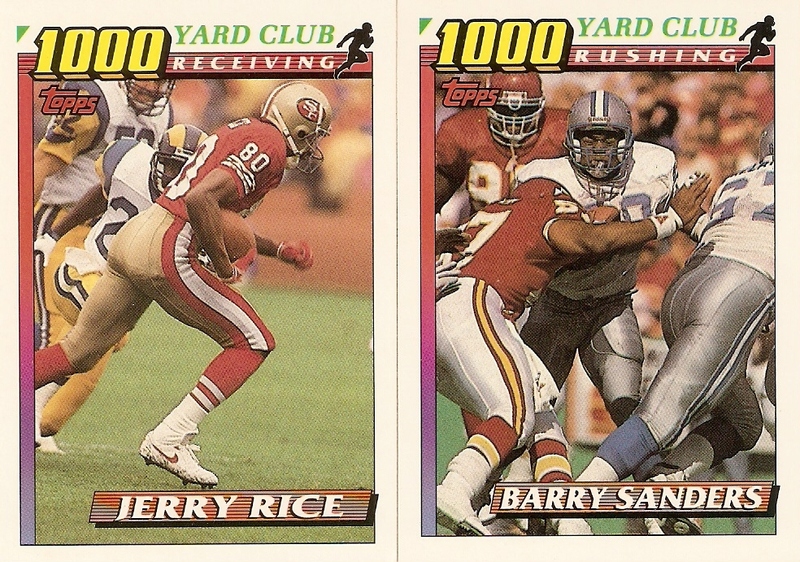 1991 Topps, 1000 Yard Club, 18 Card Set. 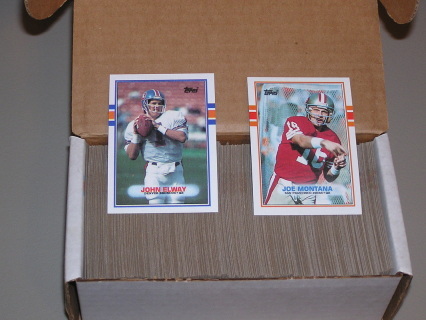 Good shape, Buyer will be happy. 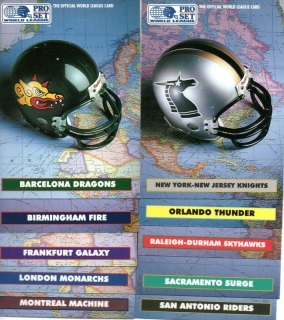 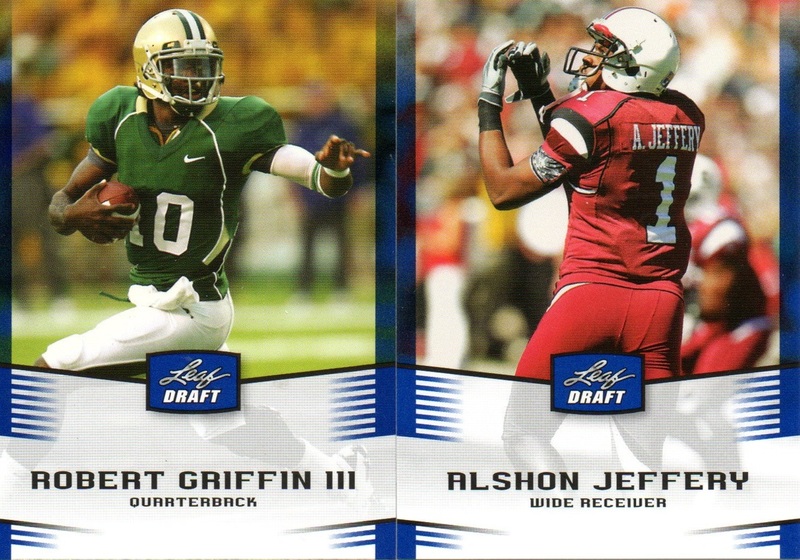 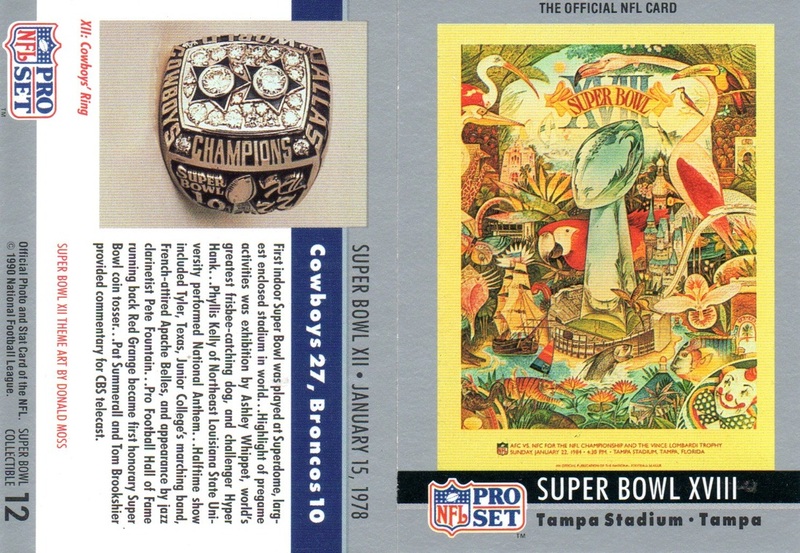 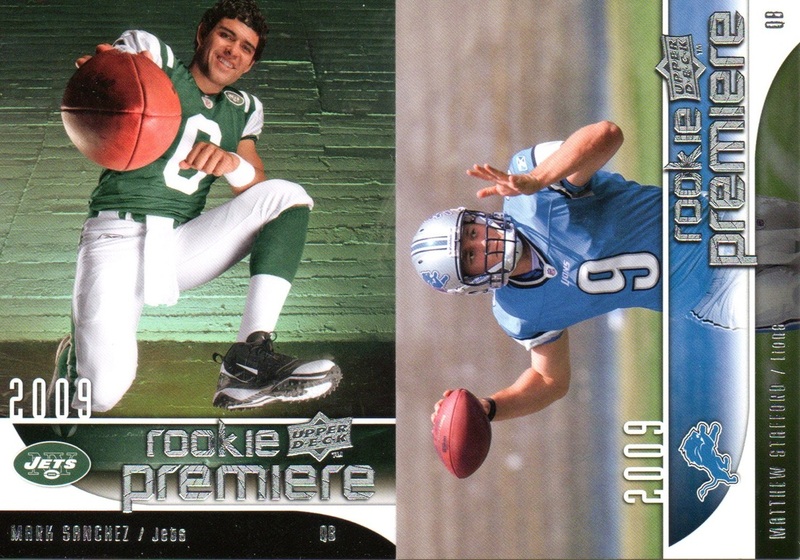 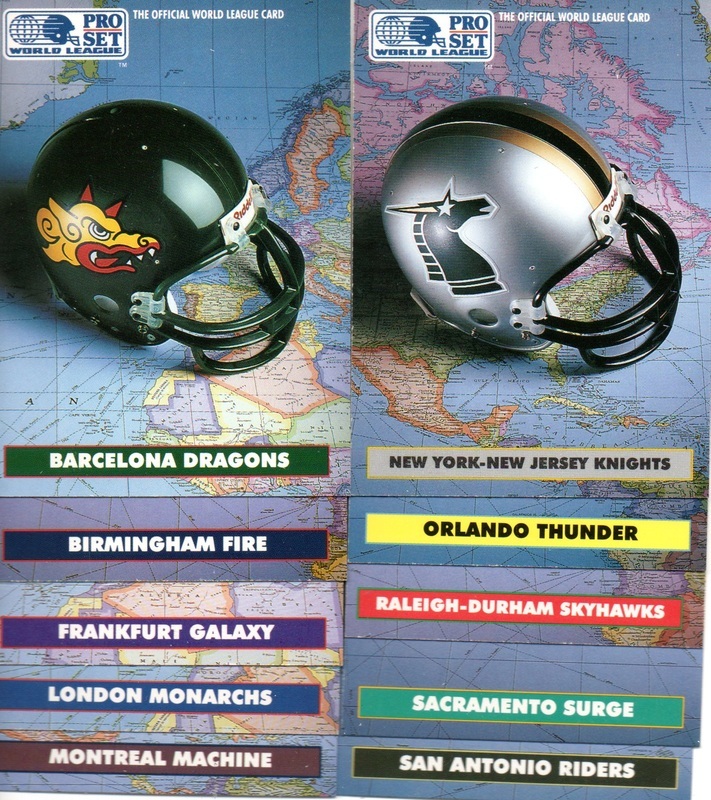 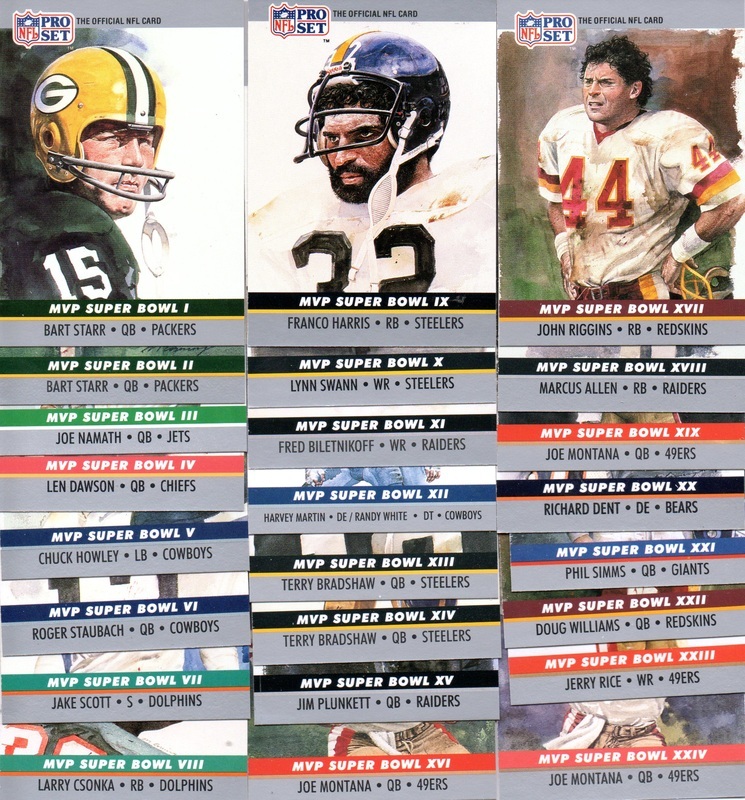 Nice shape, Each of this 20 card set is numbered "SG"
Reportedly only 60,000 of each card were produced. 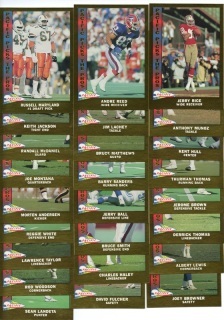 25 card Gold Insert Set. 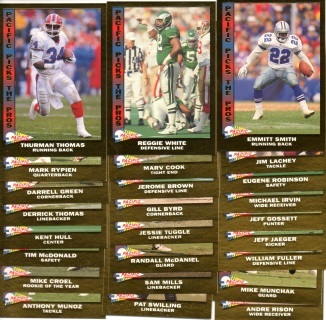 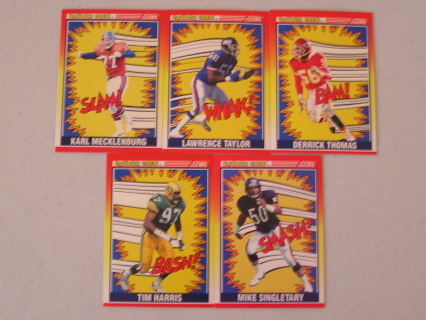 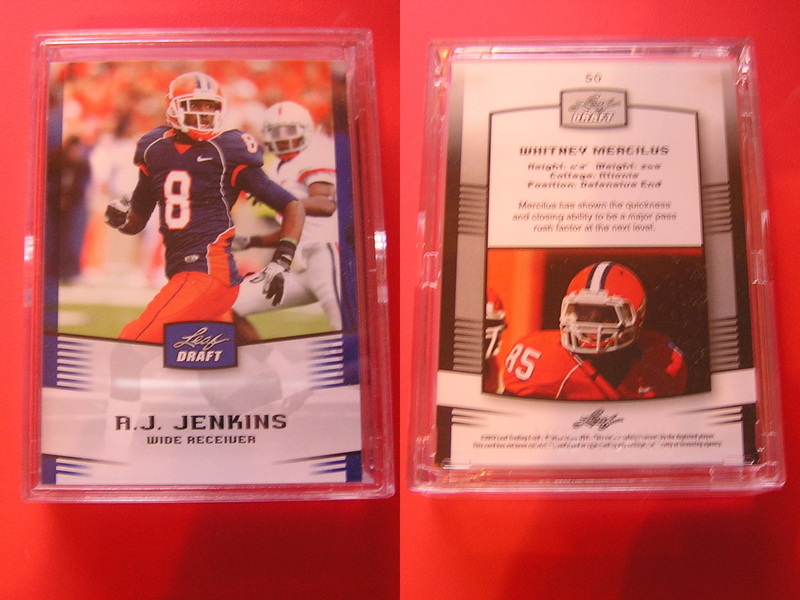 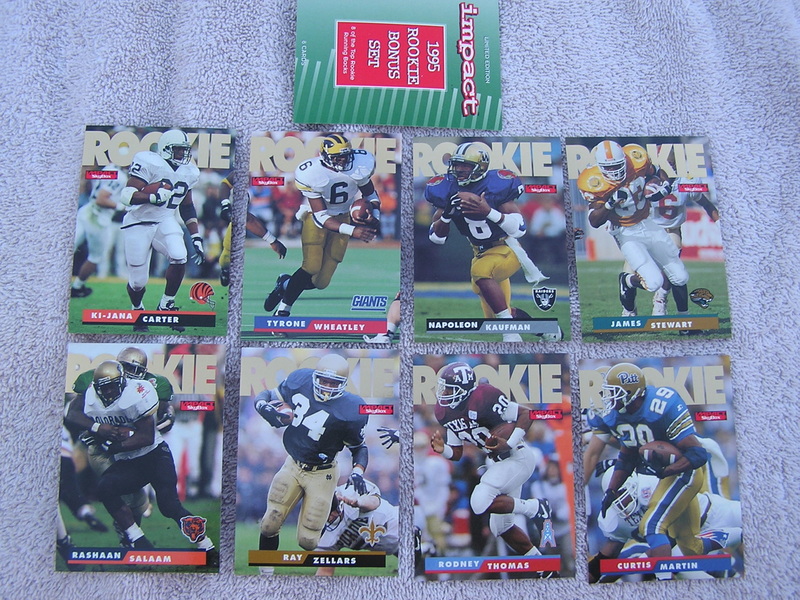 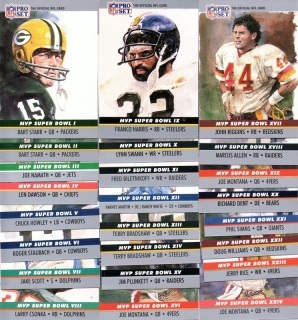 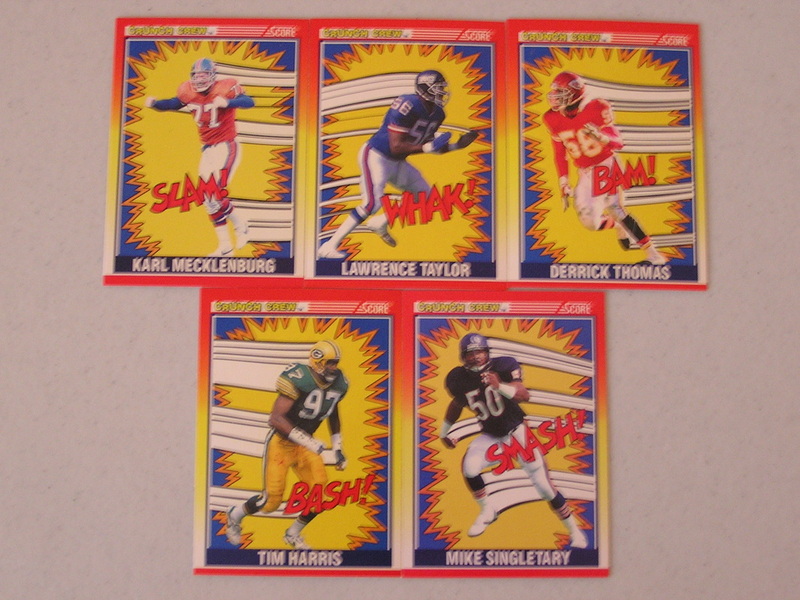 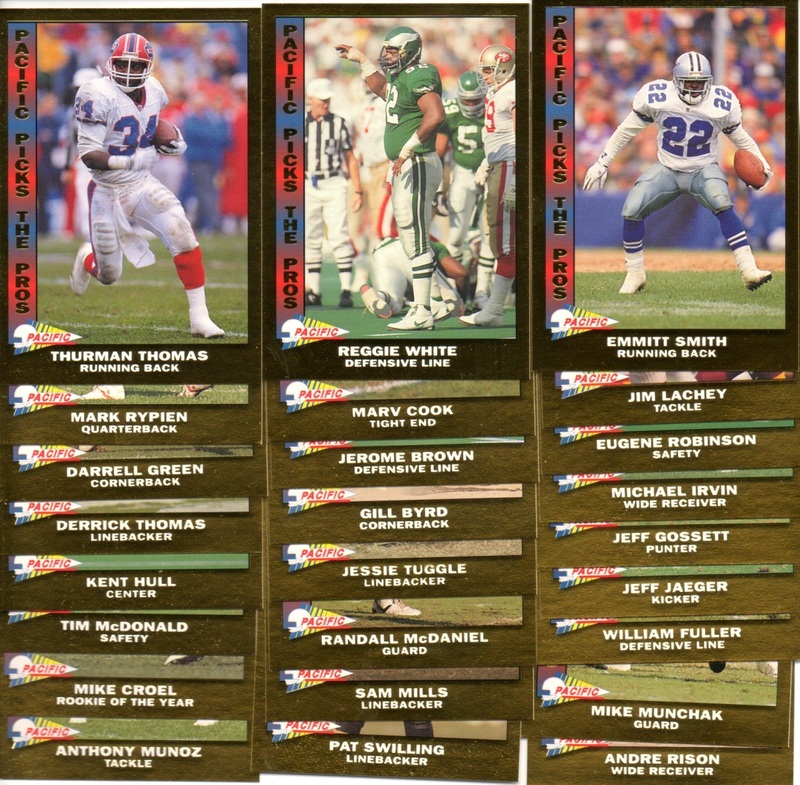 Derrick Thomas, Thurman Thomas, Reggie White, Michael Irvin, Emmitt Smith, plus 20 more Star Insert cards. 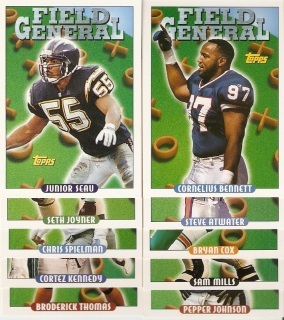 1993 Topps Field Generals 10 Card Sub Set, all cards in Great shape. 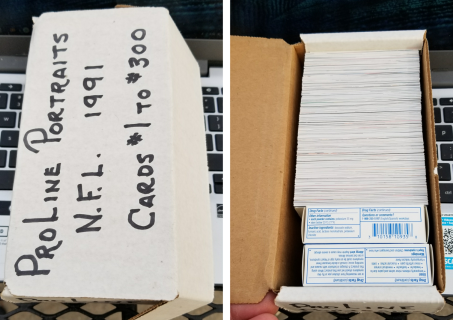 1995 Fleer Flair Preview, 30 card Set, all cards are MINT! 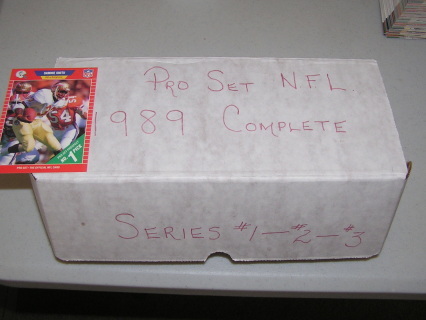 Price includes hard box, bubble mailer, shipping. 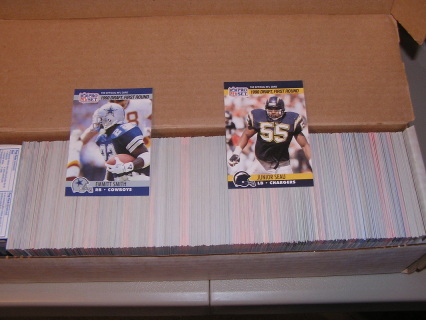 Box value is over 30.00. Lots of room for profit!